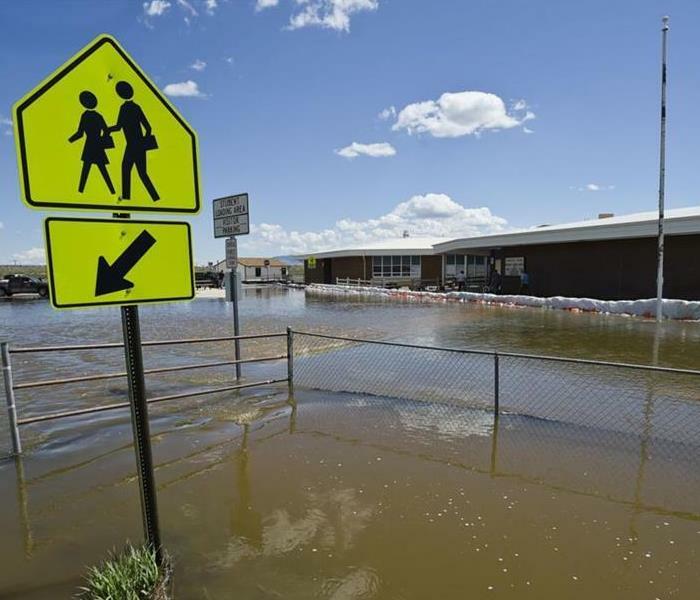 Rossiter Elementary School floods in May of 2018. As Montana's record breaking winter comes to an end, many communities will face the risk of spring flooding. Between a heavy snow pack, rapid snow melt and spring rain, these conditions will only increase the threat of your building being damaged by flood waters. By becoming educated and taking steps to protect your home or business, you can be more prepared for flooding. In the unfortunate event your home or business does suffer from a flood call SERVPRO of Helena & Great Falls to check for damage, remove any wet contents to prevent molding, and begin planning for repairs. Warmer weather is approaching quickly. Now is the time to begin preparing for spring floods. If you ever come home from vacation to find your home flooded, call us immediately. (406) 458-6008. If you do return from your vacation to find water damage in your home, stay calm and contact a reputable water restoration company such as SERVPRO of Helena & Great Falls immediately. The longer you wait, the more there is a chance for secondary damage. Always keep dryer vents clean. 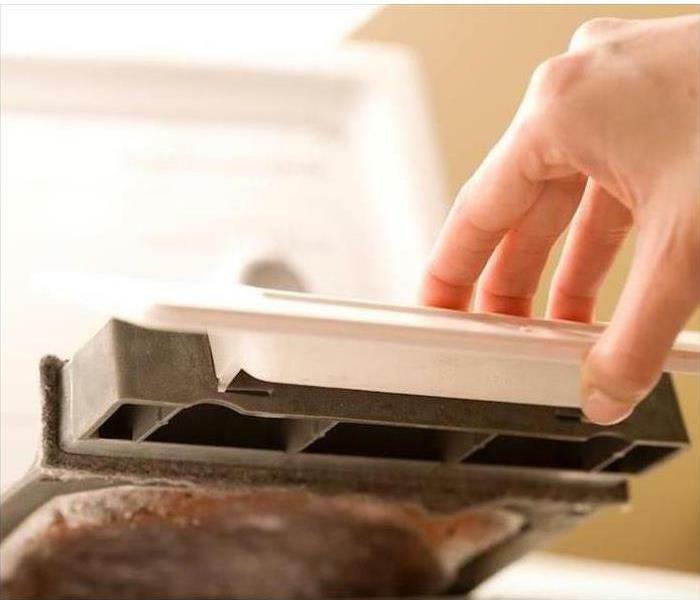 Dryers come equipped with a lint trap to catch and collect the lint and tiny threads that come off of clothing when residents in Helena or Great Falls do their laundry. Over time, larger items, such as broken zippers, can wear tiny holes into the trap. These holes can permit lint to pass through the trap and into the duct. When clogs develop in the interior of the duct, heat can build up and result in a fire. When a home or Apartment suffers fire damage because of a clogged duct or exterior vent, fire damage can occur. This is not the only way that a fire can occur, though, and clothing that ignites while in the dryer causes almost as many fires. SERVPRO technicians can help you undo the damage and restore your home. Just like we remove charred materials like burnt drywall sections, wooden trim, and destroyed personal belongings, we also remove and replace ducts and vents. SERVPRO helps homeowners prevent such fires by cleaning out ductwork and all related vents. A fire can start in other ducts, unrelated to the dryer, and we can reduce the risk in these areas, also. Cleaning up and removing any destroyed materials makes it much easier for repair work to happen. Doing so also removes any dangers present that could harm you or your children. Pets can also end up injured when they wander into areas that contain fire damage. A fire, no matter how small, causes a family to experience enough stress without the added crisis of an injury. Sorting through the laundry, both unwashed and already laundered, reveals which items suffer from fire-related defects. We can often remove smoke damage on unique or one-of-a-kind clothing items. The fire's heat can also cause other problems to items in the immediate area. Drying racks and shelves can become unsightly messes, but the small endeavor of installing new ones can help make everything "Like it never even happened." Call SERVPRO of Helena & Great Falls today so we can provide your business with an Emergency Ready Profile. In the event of an emergency, the SERVPRO® Emergency READY Profile can help minimize business interruption by having an immediate plan of action in place for your facility. The ERP is a comprehensive document containing critical information about your business, including: Emergency Contact Information, Shut-off Valve Locations and Priority Areas. The ERP is also accessible online using your computer or tablet; download SERVPRO’s free Ready Plan app to access this information at any time using your smart phone or tablet. You can establish SERVPRO of Helena & Great Falls as your disaster mitigation and restoration provider, giving you access to over 45 years experience and a System of more than 1,700 Franchises strong. Knowing what to do and who to call in advance is key to quick response and timely mitigation. Having a plan in place may help minimize the amount of time your business is inactive and get you back in the building following a disaster. The ERP is a no cost assessment; all it requires is a little time, making it a great value that could save a lot of time in the future. 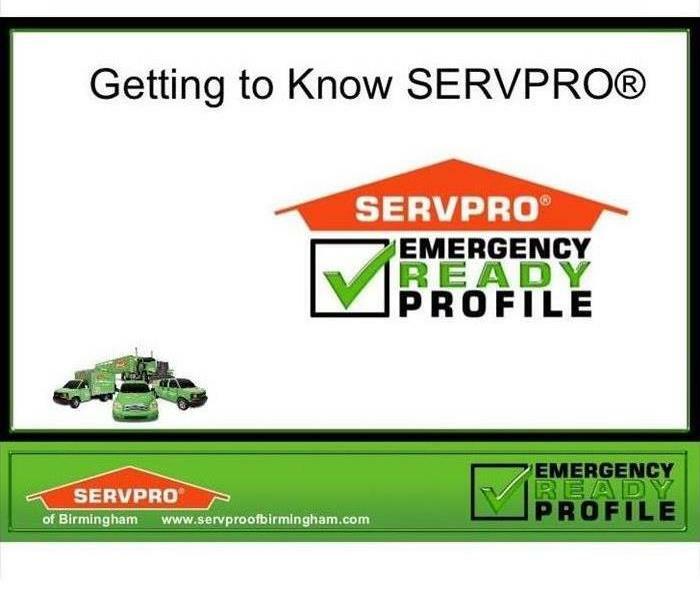 Call us, SERVPRO® of Helena & Great Falls, to establish your Emergency READY Profile. 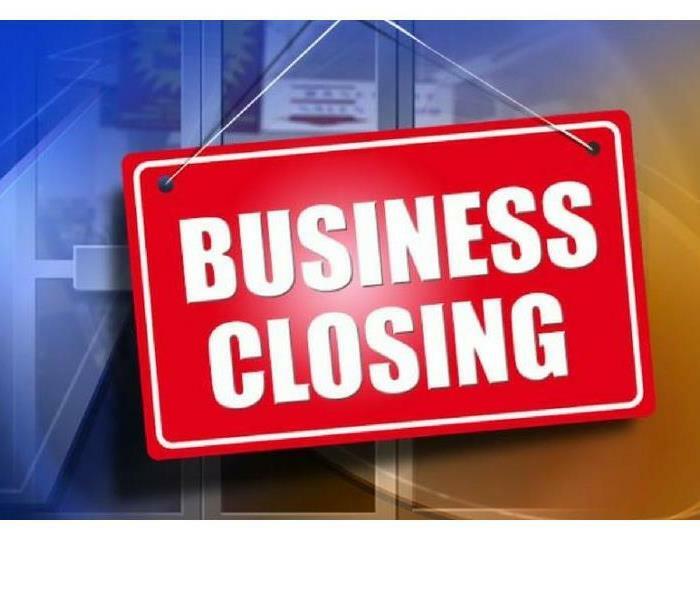 Only 25% of businesses that close due to a major disaster ever reopen. How quickly your company can get back to business after a storm, fire, or flood often depends on the emergency planning done today. The regular occurrence of natural disasters demonstrates the importance of being prepared for any emergency. While each situation is unique, your organization can be better prepared if you plan carefully, put emergency procedures in place, and practice for all kinds of emergencies. will do in an emergency situation? suppliers are impacted by a disaster? Are you ready for utility disruptions? Have you practiced your plan recently? Do you practice and coordinate with other businesses in your building or industrial complex? Have you reviewed your plans in the last 12 months? determine what can be strapped down? If you answered “No” to any of these questions, visit ready.gov and learn how to better prepare your business. 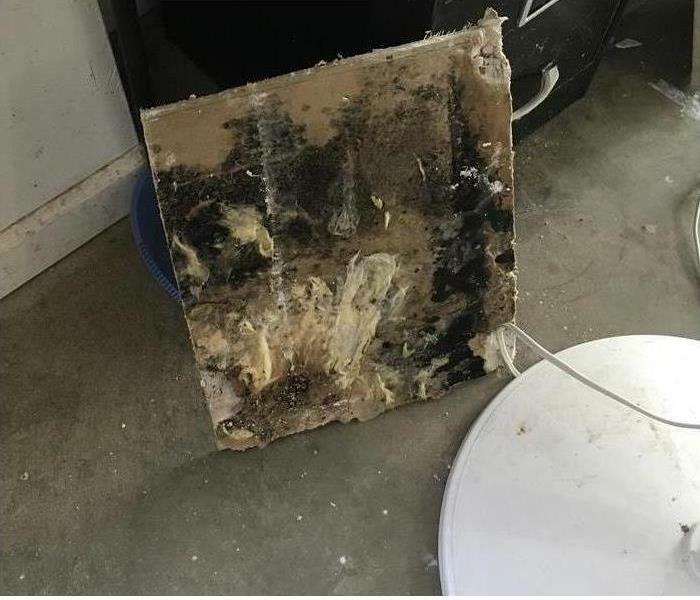 Mold that was behind a wall. Mold spores are microscopic and float along in the air and may enter your home through windows, doors, or AC/heating systems or even hitch a ride indoor on your son's clothing or a pet. 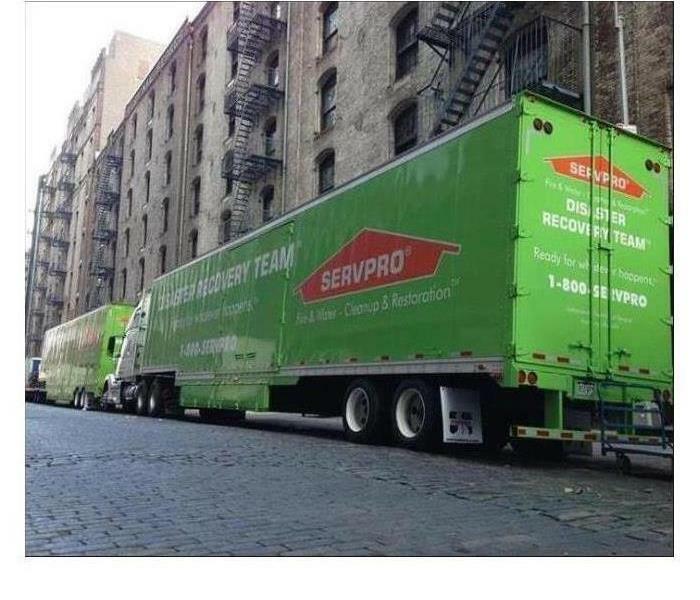 SERVPRO is here to help. Flooding and water damage events in Cascade or Lewis & Clark County commercial properties are often complex with numerous issues that require a knowledgeable and flexible response. Whether we're dealing with a relatively small water cleanup scenario or a large scale event, we work quickly to assess each unique situation and isolate the damaged area. In many instances, normal operations can continue in a temporary space while we restore your facility. SERVPRO of Helena & Great Falls specializes in the cleanup and restoration of commercial and residential property after a water damage event. Our staff is highly trained in property damage restoration. From initial and ongoing training at SERVPRO's corporate training facility to regular IICRC-Industry certification, rest assured our staff is equipped with the knowledge to restore your property. Always be prepared around fire. Fire season is here in the Northwest. 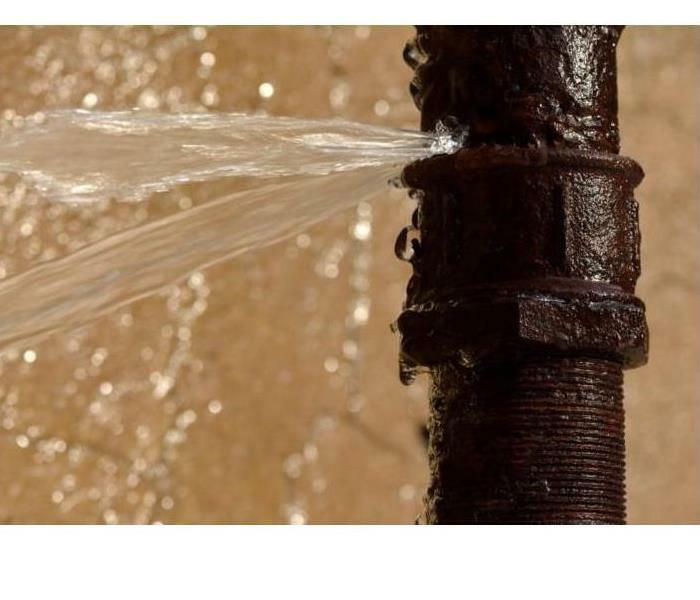 Preventing a fire accident is far easier than investing in fire and water restoration in the aftermath of such an accident. We've put together a few tips to make your summer activities not only fun and memorable, but also safe. 1. Always have water or a fire extinguisher on hand. When you are having a campfire, or backyard fire pit, it’s always a good idea to keep a bucket of water or hose nearby. Sometimes sparks and flammable materials can fly out of the fire. Having water nearby means you will be able to respond quickly to keep the fire under control. 2. Fireworks should only be used under adult supervision. Everyone loves sparklers and pinweels, but the reality is, they can be very dangerous in the wrong hands. Keep a close eye on children when fireworks are involved. It only takes a split second for a fun fourth of July to turn into a life altering disaster. Additionally, never try to relight faulty fireworks or sparklers. All fireworks and sparklers should be disposed of in a bucket of water. 3. Maintain your gas or charcoal grill. Over time, grease and other flammable materials can build up on your grill. To help prevent a possible grease fire, always maintain your grills and keep them clean. 4. Survey your surroundings prior to lighting a fire or grill. Make sure there is nothing flammable directly adjacent to the fire. 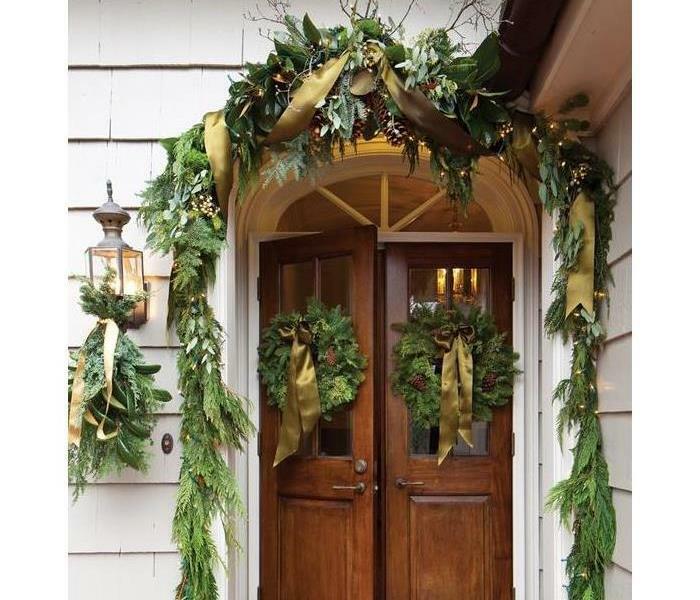 This includes deck railings, branches, dry grass or wood. You should also NEVER start a grill indoors or directly under your home’s eaves or soffits. 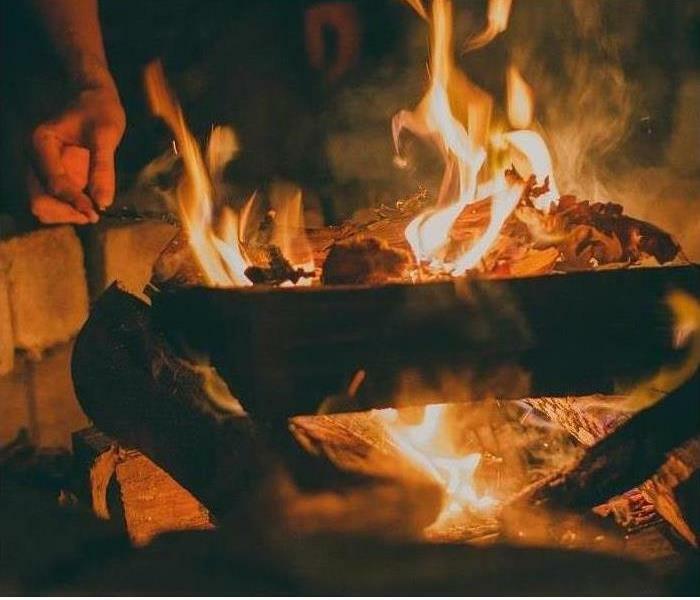 Additionally, when starting a camp fire, take care to clear the area around where you will be starting the fire and make certain there are no dry materials that could catch fire from a nearby spark. Check your local municipalities to ensure that a campfire ban in not in effect in your area. 5. Always completely extinguish a fire or grill. When you are finished with your fire or using your grill, always make certain that it is completely out. Grills and fires can quickly become a serious disaster when left unsupervised. 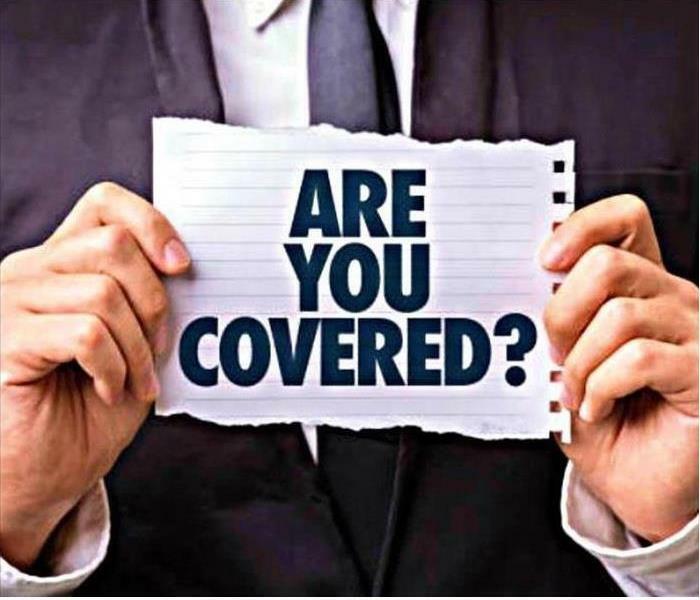 Are you covered in your insurance policy. If your roof has not been properly maintained, this type of damage will not be covered. However, damage to your belongings may be covered, depending on the type of insurance policy you have. It is always a good idea to perform preventative maintenance to your home, especially if you live in an area with high precipitation or snow such as Helena or Great Falls area in general. If you experience a flood in your home or discover that you have a mold issue, call SERVPRO of Helena & Great Falls 406-458-6008 immediately to get the remediation process underway as soon as possible. We deal with insurance companies on a daily basis and can help you navigate your claim. We are always here to help. 3/15/2019 - SPRING FLOODING: ARE YOU READY? 8/10/2018 - Is Your Business Prepared? 8/3/2018 - What you need to know about Mold Spores.